Crain’s Magazine recently highlighted five of the “COOLEST OFFICES IN NEW YORK”. 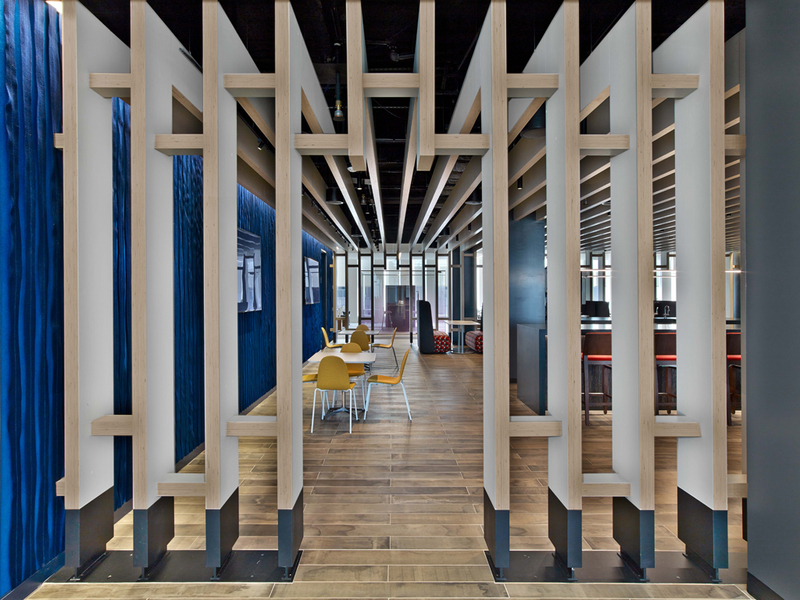 Our design for ITOCHU International, Inc. was one of them. This coincides with the 100th anniversary of ITOCHU in Manhattan. We think that is pretty cool, too. 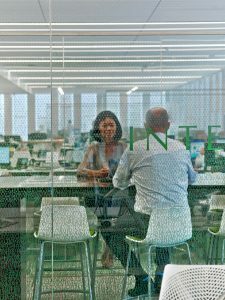 The most successful work environments provide a range of spaces -- an ecosystem -- that allow people to choose where and how they get their jobs done. In our collaboration with the No. 1 Japanese trading company the thrust of the conversation was openness and transparency. 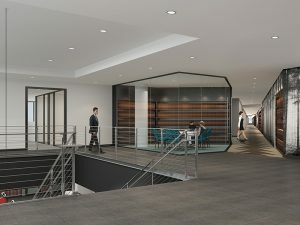 They hired us to design a solution that fits the culture of the firm’s North American headquarters. 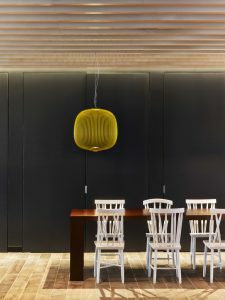 Crucial in their decision was our design for subtle ways to gain privacy in an open plan. The placement of art at BLB&G articulates the circulation. 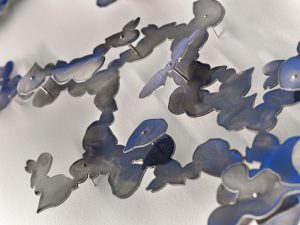 A large metallic piece was created to create a sequence from the entrance to the office space. A non-intuitive sense for what works at Lowenstein Sandler. Law firms no longer have use for the extensive legal libraries as a result of integrating new technologies. 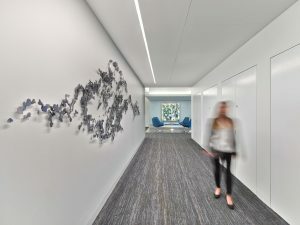 While space per person was reduced, new spaces for clients were developed where comfort is more important, in some instances, than confidentiality. Landmarks designation for the LIM College is fashionable. 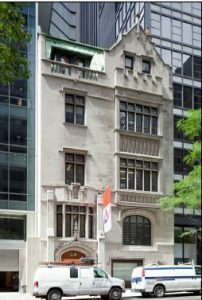 The Fiske-Harkness is a rare survivor of the neo-Tudor Gothic style as applied to a residential building in Manhattan at the turn of the 20th century. This was at the time when this section of 5th Avenue was Manhattan’s most fashionable residential district. The house was purchased by Maxwell Marcuse, founder and president of LIM College who had a new idea for the concept of fashionable in his “College for the Business of Fashion”. We redesigned the interior spaces and restored the exterior facades. Our annual pro bono work led us to the Oliver Scholars Project. Where will our work lead them? The Oliver Scholars Project found us.